Yesterday I had lunch with a colleague from California. Every time we meet, we chat about the crazy weather and horrible traffic in Denver and that it's so much better even in LA, where she's from. Nancy doesn't really need to say anything to convince me that LA's better than Denver, except for the earthquakes. Strangely, it's not that they have them that scares me. It's the earthquake-proofing. The building that she works in is on rollers, and she says that during an earthquake you can feel the building moving back and forth and it can make you a little seasick. She animated the feeling by holding her hands out as if to balance herself, and swaying back and forth. A normal person would probably just think, "That must be weird." But me, I was speechless and felt frozen by fear. A person with MdDS could feel that motion for weeks or years afterward. I am (dare I say it? )… in remission. Thing is, when you have an incurable illness if you somehow achieve remission, it's not really all that great. You're always waiting for the other shoe to drop. The fear of that constant swaying, of the floor dropping out from under me, the people-mover in a bouncy castle feeling… I don't want that back and if living in Cali can make that happen… sorry, hun, not doin' it. It's taken me 7 years to feel normal, to get some of my brain power back. No matter how blizzardy or Arcticly-cold Winter is here, how brutally hot and dry Summer is, how blink-of-an-eye both Spring and Fall are… I can't suffer that loss again. I can't. 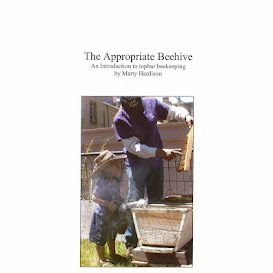 It's hugely disappointing that our neighbors are sociopaths, because you can leave bees completely alone from October through February and extended vacay, that I can do. 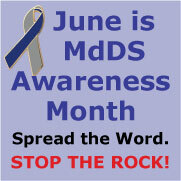 June is MdDS Awareness Month. The past two years, I tweeted 30 MdDS Facts in 30 Days, but I'm kind of over Twitter. Instagram is my thing now but you can't photograph an invisible illness so that's the explanation for this off-topic post, which I realize now is more about its effect than about its existence. But hopefully you picked up on that it's a never-ending, false sense of motion that consumes brain function. If you have any questions about my damaged brain, just ask in the comments section below. Or just read, What is MdDS?